After a September 5, 2018 report by CNBC stating that Business Insider reported that Goldman was going to drop its trading desk for Bitcoin, the crypto market crashed. On September 6, 2018, CNBC came out with a report that the Goldman exec said that this report was ‘fake news’. By coming out with the first article with the fake cryptocurrency news, CNBC helped to worsen the sell-off. This is because CNBC has a large number of viewers. So, it says a lot about the ability of the mainstream media to control the crypto market. The idea that CNBC news can make crypto, and Bitcoin, sink, is unimaginable. Yet, it is the fact. Due to the fake cryptocurrency news of Goldman was pulling out of the crypto space, the market cap got wiped out of $39 billion within a day. The result of the sell-off caused CNBC to Tweet about “the bitcoin bloodbath”. Consequently, the Tweet attracted a lot of viewers. So, CNBC gained more viewers from the fake news cycle. What Other Interests Do Main Media Groups Have? We are wondering what interests these news reporters might have in fake news that deflates the price of crypto. Hypothetically, those shareholders who control the main news groups might have a stake in saying which negative articles should be posted about crypto. The resulting sell-off gives others who are ‘in the know’ time to buy crypto. Then, when it posts an article that this previous news was fake, the price of crypto can go back up. In this case, whoever buys the crypto while the price is down profits when the readers figure out the ‘fake news’ and buy back into crypto, raising crypto’s price. This encouraging cycle then positively reinforces and encourages the publishing of ‘fake news’ regarding crypto. 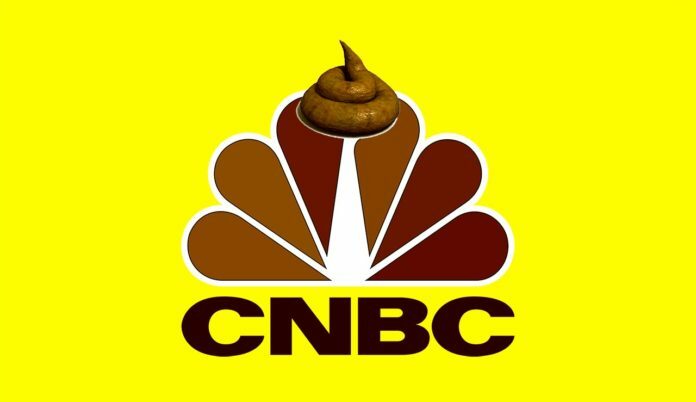 Of course, we are not saying that CNBC is doing this on purpose; however, it is possible that those who control the mainstream media companies have power to cause crypto crashes and rises. And, they can benefit potentially from this. Remember, it is important to think for yourself.